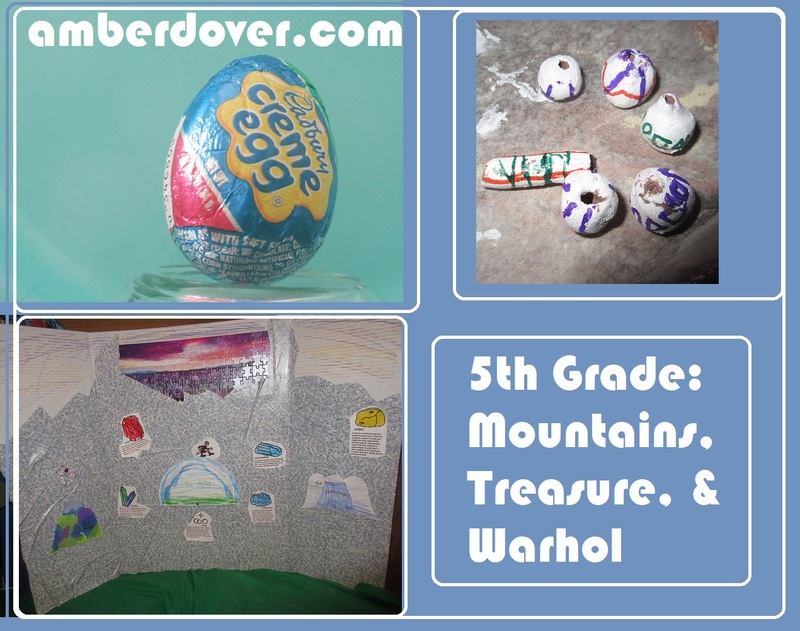 In this post: Peruvian beads as we learn about Mountainous regions and pop art in the style of Andy Warhol. Join us for a trip back to our 5th-grade studies! Hello, Dear Ones! This is my 6th post for our 5th-grade studies from a couple of years ago. In geography, we learned about mountain regions and in science, we learned about rocks and minerals (AKA treasure). Our famous artist was Andy Warhol and Michael had fun with Fast Food math. We did these studies in February of 2016. Here’s how we learned! The Andes has different types of terrain, so we showed that with different colors of tissue paper. We were in a rush and simply colored the Himalayas. You can no longer find the gem worksheet on Crayola’s site. We used a granite contact paper for the background and a mountain puzzle. Crystal Mining Kit- I believe we got the kit from Michael’s Craft store. Peruvian Beads- As we learned about the Andes Mountains we read about the natives of Peru. Michael made a Peruvian bead bracelet using clay. Leeland’s Art- I was always keeping Leeland busy with something messy. Fast Food Math- I put together a Fast Food menu using clip art I found online and Paint. Michael even dressed the part of a fast food employee. His toys were the customers. Michael put the orders together in bags and tallied up the prices for the receipt. He used paper food. Michael took several photos of household items like Cadbury eggs and spices. I put the special effects setting on my camera which really made the pictures pop. This was right after Terabithia was torn down and before we built the schoolhouse. There was plenty of room for picnicking!